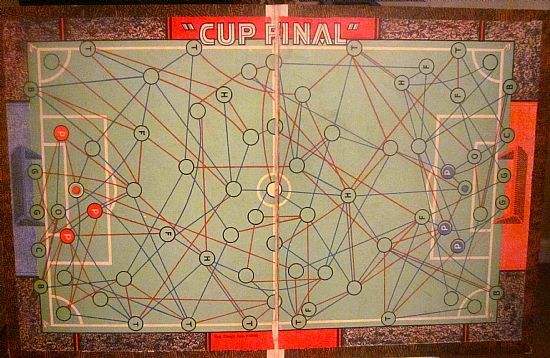 The latest in a seemingly endless stream of football games called 'Cup Final'. This one seems to be 1930's and is nicely designed with good gameplay. Too easy to rationalise down to set moves though as the best move from each circle is soon worked out. 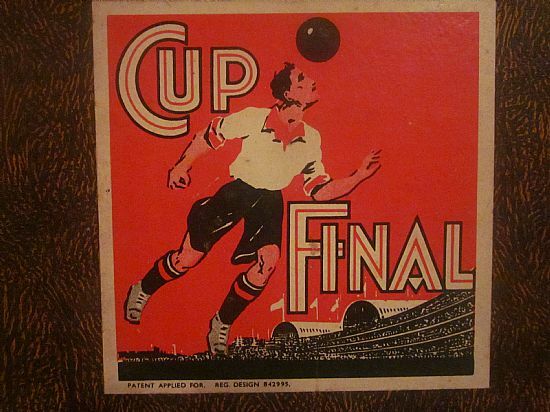 Lovely 30s style game design label. Beautiful typeface. Price is for a boxed game complete but without rule book. Nicely designed pitch with pre-prepared movement lines. 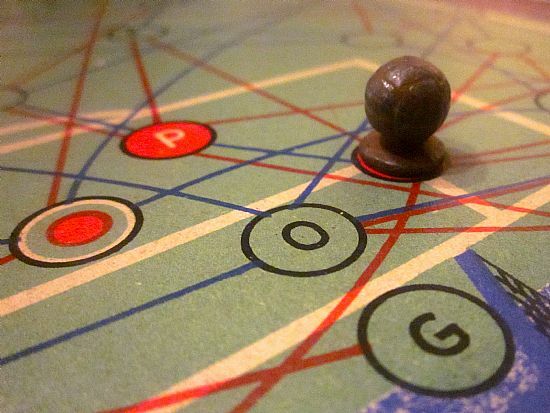 A dice roll determines how far you move. 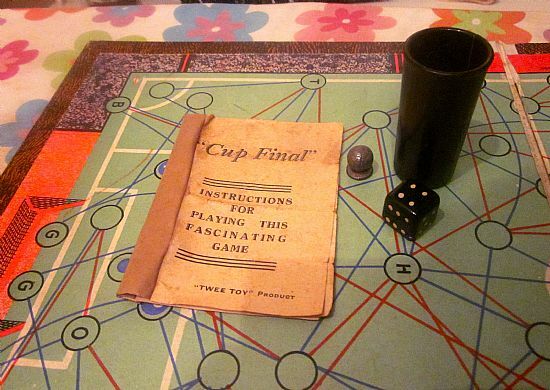 Board, dice, shaker, ball marker and rules. 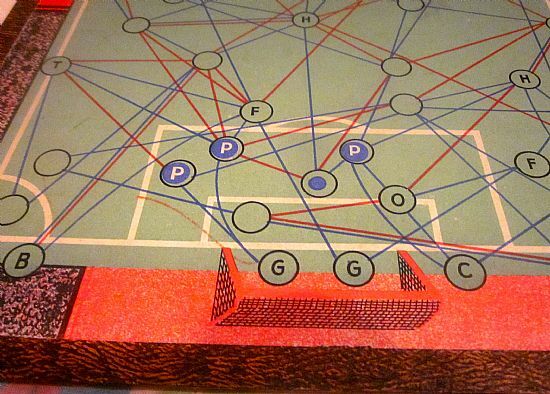 More frantic goalmouth action from an actual game!